On a mission to land a summer job that could become your full-time gig? The odds could be in your favor. According to the February report of the U.S. Department of Labor, there’s been slow and stable growth in the job market. Furthermore, companies often hire workers to fill in for their staff members who take summer vacations. Improve your chances of job search success by thinking strategically and showing that your skills and knowledge are a perfect match for the job. First, build a team of supporters instead of applying online to hundreds of vacancies. “Visit your school's placement office (in-person or virtually); visit your local one-stop career center; and enlist the help of your personal network,” said John Hattery, deputy director of the National Association for Workforce Development Professionals. 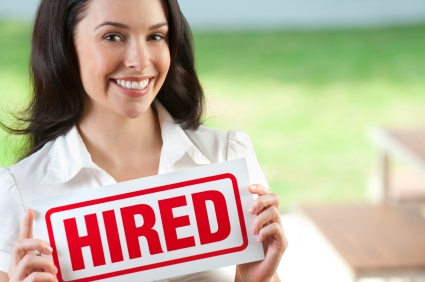 Also, staffing companies offer a great option for job seekers who want to make a lot of contacts in a short timeframe. Next, make sure you consistently and clearly state your desire for a permanent job in your field. “I remember a college senior who wanted to be a lawyer and who attended a mock interviewing workshop. She was dressed impeccably, had a perfect resume and had a well-written cover letter. Unfortunately, nowhere in those documents did she state her interest in law or the fact that she had started the application process for law school,” Hattery said. That information might have been the one thing that helped her snag an interview over her competitors for a job in a law office. During an informational or hiring interview, repeat your desire for a permanent job in your field. “Ask the employer: ‘Is it possible for this to evolve into an offer of permanent, full-time employment?’” Hattery said. Finally, tell them one more time your desire for permanent employment by projecting it through your image. “We get hundreds of resumes daily," Delaney said. But, the ones who come in face-to-face, have a professional presentation (of themselves), and have good interviewing skills are the ones who get the opportunities. Once you are in the door, it's time to sell yourself, rather than sell your resume. “When you get the job, put yourself in a position to leverage relationships, understand the job market and learn how your skills align with the company needs,” she added. Get to know the leaders and workers and let them get to know you. Pay attention to the culture of the company and the people who work there and always use good business etiquette. When all is said and done, you may find that you have access to a plethora of information that can increase your chances of getting hired at that company.